In addition, this recently debuted midsize luxury SUV features high-end craftsmanship with leather, suedecloth, and other premium materials, as well as the latest Land Rover InControl® Touch Pro™ Duo infotainment system and more technology features. Kaikoura Stone Metallic 2019 Land Rover Range Rover Velar P250 SE R-Dynamic 4WD 8-Speed Automatic 2.0L I4 Turbocharged Premium Interior Protection & Storage Pack, Smart Phone Pack, Rear Seat Convenience Pack, Black Contrast Roof, Configurable Ambient Interior Lighting, Black Roof Rails, 21" 5 Split-Spoke Style 5047, 4-Zone Climate Control, Cabin Air Ionisation, Climate Package, Driver vanity mirror, Head-Up Display, Lockable Cooled Glovebox, Radio: Meridian Surround Sound System (825W), SiriusXM Satellite Radio & HD Radio, Solar Attenuating/Infrared Absorbing Windshield. Recent Arrival! 21/27 City/Highway MPG Let the team at Joe Bullard introduce you to an entirely new kind of car-buying experience. You will love doing business with us no matter where you live! If you’re looking for your next Land Rover or Jaguar we have them! We stock over 200 pre-owned cars including all makes and models to fit your lifestyle! We have your next used car, truck or SUV and something for every taste and every need. If you want peace of mind our Certified sales staff and technicians are here to help! We offer a variety of financing opportunities! If you are asking yourself what is my trade worth, we can help you answer that too! Servicing the Mobile Alabama area and we ship to anywhere in the US! We stand up to what we say and its simple! The customer comes first! Visit us at any of our locations or 24/7 at www.joebullard.com. Corris Gray 2018 Land Rover Range Rover Velar P380 SE R-Dynamic 4WD 8-Speed Automatic 3.0L V6 Supercharged Premium Wheels, Navigation / GPS, Sunroof / Moonroof, Rear Back-Up Camera, Leather Seats, Heated and cooled seats, USB / AUX Ports, Keyless Entry, Memory Seat, Cruise Control, Steering Wheel Controls, Premium Stereo, Multi-zone Climate Control, Premium Interior Protection & Storage Pack, Rear Seat Convenience Pack, 10-Way Front Seats w/Driver Memory, 17 Speakers, Black Roof Rails, Heated & Cooled Front Seats w/Driver Memory, Navigation System, Navigation system: Touch Pro Navigation System, Perforated Grained Leather & Suedecloth Seat Trim, Power Adjustable Steering Column, Power Liftgate, Power moonroof, Power Pro, Radio: Meridian Surround Sound System (825W), SiriusXM Satellite Radio & HD Radio, Wheels: 20" 10 Spoke (Style 1032). 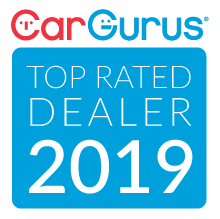 Awards: * ALG Residual Value Awards Let the team at Joe Bullard introduce you to an entirely new kind of car-buying experience. You will love doing business with us no matter where you live! If you’re looking for your next Land Rover or Jaguar we have them! We stock over 200 pre-owned cars including all makes and models to fit your lifestyle! We have your next used car, truck or SUV and something for every taste and every need. If you want peace of mind our Certified sales staff and technicians are here to help! We offer a variety of financing opportunities! If you are asking yourself what is my trade worth, we can help you answer that too! Servicing the Mobile Alabama area and we ship to anywhere in the US! We stand up to what we say and its simple! The customer comes first! Visit us at any of our locations or 24/7 at www.joebullard.com. Corris Gray Metallic 2019 Land Rover Range Rover Velar P380 HSE R-Dynamic 4WD 8-Speed Automatic 3.0L V6 Supercharged 20-Way Heated & Cooled Front Seats w/Memory/Massage, 360 Parking Aid, 360 Surround Camera, Adaptive Cruise w/Queue & Steering Assist, Basic Rear Seat Convenience Pack (Preferred), Black Contrast Roof, Black Roof Rails, Blind Spot Assist, Car Care Kit (Preferred), Configurable Ambient Interior Lighting, Driver Assist Pack, High Speed Emergency Braking, Illuminated Metal Fr & Rr Treadplates w/R-Dynamic, Interior Premium Textile Package, Narvik Black Grill Mesh, Park Assist, Premium Textile & Suedecloth Seat Trim, Radio: Meridian Surround Sound System (825W), R-Dynamic Black Exterior Package, Rear Traffic Monitor, Satin Charcoal Ash Veneer Trim Finisher, SiriusXM Satellite Radio & HD Radio, Smartphone Pack, Suedecloth Steering Wheel, Wheels: 21" 10 Spoke w/Satin Dark Grey Finish. Recent Arrival! Let the team at Joe Bullard introduce you to an entirely new kind of car-buying experience. You will love doing business with us no matter where you live! If you’re looking for your next Land Rover or Jaguar we have them! We stock over 200 pre-owned cars including all makes and models to fit your lifestyle! We have your next used car, truck or SUV and something for every taste and every need. If you want peace of mind our Certified sales staff and technicians are here to help! We offer a variety of financing opportunities! If you are asking yourself what is my trade worth, we can help you answer that too! Servicing the Mobile Alabama area and we ship to anywhere in the US! We stand up to what we say and its simple! The customer comes first! Visit us at any of our locations or 24/7 at www.joebullard.com. The new Range Rover Velar presents a premium package that’s tough to pass up, and it’s available now near Destin at Land Rover Gulf Coast. See what Motor Trend had to say about the new Range Rover Velar, and then come to our dealership in Mobile, AL. 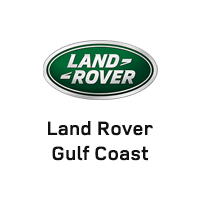 Land Rover Gulf Coast is part of the Joe Bullard Automotive Family, which has been operating in Mobile since 1955. Count on us for all your luxury auto needs, and call our staff if you have any questions!